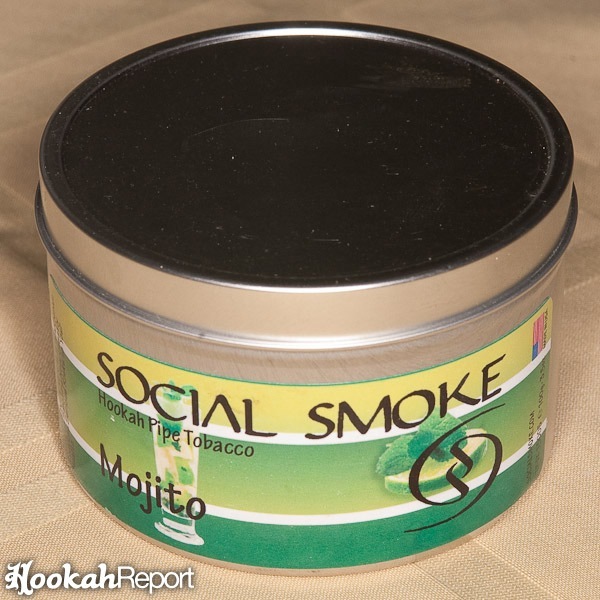 Social Smoke Mojito is a medium-long cut premium tobacco which isn’t the wettest we’ve ever seen, but more so that most other brands. There will be a few small stems amongst the tobacco, but it won’t interfere with packing. 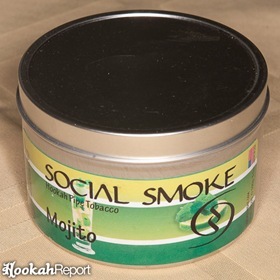 Social Smoke Mojito was reviewed after four smoking sessions with various hookahs and bowl styles. It was most recently smoked from an Al Fakher Large Solid and a HJ Alien Mini phunnul bowl. The taste of Mojito diverges slightly from the scent. The scent is a tad chemical, but the flavor does not exhibit this quality at all. Mojito produced large, dense clouds with very little extra attention. 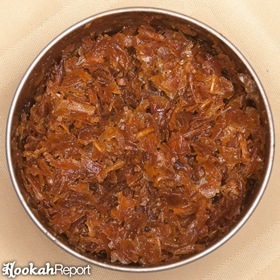 As is typical with most Social Smoke tobacco, the flavor was available almost immediately, even before the smoke. The session lasted nearly an hour and a half and used three Coconara natural coals. Mojito is a lime-citrus and mint blend with another subtle flavor to mimic the sensation of alcohol in the back of your throat. It really does very much resemble an actual mojito beverage. However, in its smoking form, the comparison is somewhat lost. The mint is very well hidden in this flavor—almost invisible. and the lime flavor is mild. What you’re left with is an easy to smoke, subtle semi-sweet citrus flavor that tastes a lot like a mojito if you know that’s what it’s supposed to taste like. 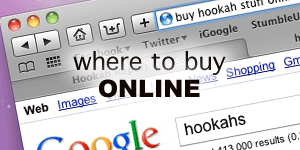 Social Smoke Lime is easy to smoke and delicious. It’s not too in-your-face and it’s not too sweet. For my taste however, I would prefer the deeper lime and mint flavors of Social Smoke Lime. If you’re fan of flavors that mimic alcoholic beverages, you’ll almost certainly like this one. People who enjoy citrus, but usually find it too overwhelming will appreciate that this one is toned down some. I expect this would generally be a crowd pleaser. Because it’s not especially intense in any way, I doubt many people would find much to really not like about it.